In 2018 young people voted in historic numbers, and because we voted and volunteered, we have the most diverse Congress in history. We took back the House, and now real people see themselves reflected in positions of power in government, important policies have new champions, and we’ve put a real check on the power of Trump and his administration. But we can’t stop there. Tackling the issues we face—from student debt and unaffordable housing to healthcare and immigration—requires regaining progressive power in all the Houses of our government. This cycle, we can take back not only the White House—but also the Senate and the State Houses needed to control the drawing of fair maps in the 2021 redistricting, undoing some of the worst cases of Republican gerrymandering. If we do things right, we’ll not only beat Trump and the GOP, we'll also set ourselves up for a decade of progressive wins. Palpable shifts in power are only possible with grassroots organizing. We'll only take back all the Houses and beat Trump if we register new voters and mobilize even more young people to the polls in 2019 and 2020. This is another all-hands-on-deck moment—and that means we need a fully-mobilized student movement to stand up to Trump’s cruel policies and corrupt administration. As a College Fellow, you’ll receive expert organizing training to help students (on your campus and beyond) overcome barriers to voting and you’ll mobilize them to empower others. 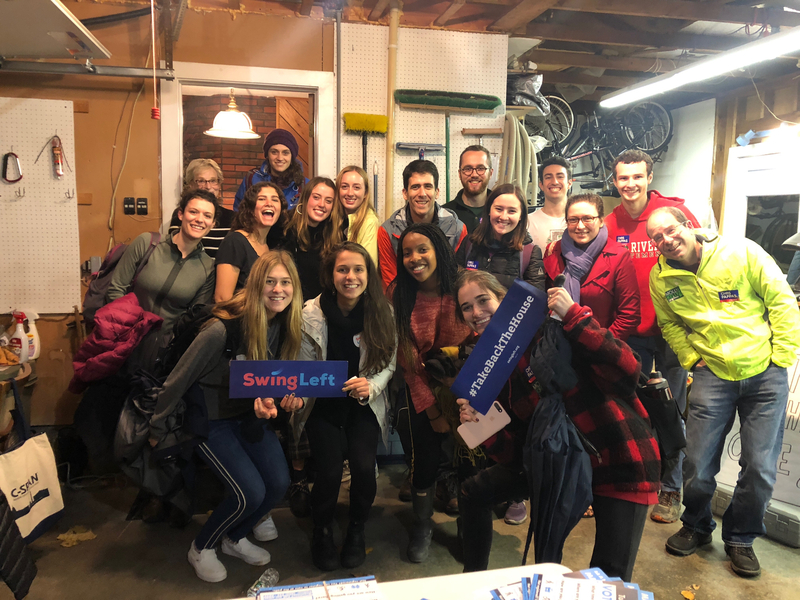 You’ll help fill an important gap in progressive voter mobilization by forging partnerships among student groups across campuses, both inside and outside of critical states — where increasing voter registration and engaging new voters will have the most impact. Spring 2019 enrollment has ended. Be the first to know about our summer and fall programs.